It’s Derby Day. Cooper Family, unite! This is one of the most exciting days of the year in my family, and it centers around an event that not one of us pays attention to the other 364 days of the year. Maybe there’s a tiny bit of research that takes place in the week leading up, but ultimately it’s a fun tradition based on…well, based on tradition, I guess. There have been highlights – Thunder Gulch in 1994, Smarty Jones in 2004. War Emblem in 2002. 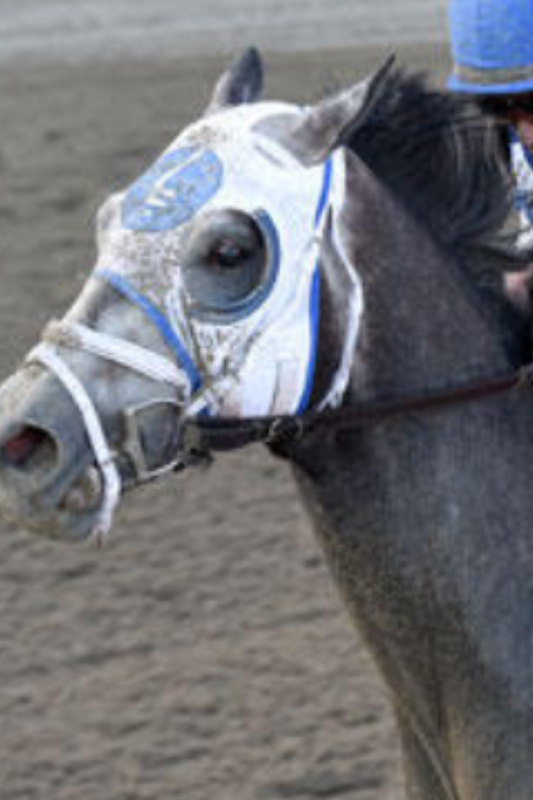 There have been heartbreaks too – namely the death of the filly, Eight Belles, in 2008. Last year, Karlie was the winner by selecting California Chrome with the first overall pick. It’s always disappointing when there’s such a clear favorite. The whole thing boils down to a randomly selected number out of a hat. Karlie landed #1, so she won it all. That said, I proposed a new idea for future years. Starting in 2016, we’re going to base our pick selections on the results of the previous year’s race. Last will pick first and vice versa. It’s too late to do it that way this year – as one of the worst finishers in 2014, of course I’d like to pick earlier. In the spirit of fairness, we’re going to start that in 2016 based on 2015 results. This is a great year to do it too because there’s no true favorite like there has been the past few years. Last year, California Chrome was a no brainer. This year there are multiple options. American Pharaoh has the best current odds at 3-1. But Dortmund (4-1), Firing Line (8-1), Carpe Diem (7-1) are all perfectly viable first picks and horse like Mubtaahij (12-1), Frosted (9-1) and Materiality (14-1) are not dumb first round picks either. Everyone will get a contender this year. Here’s the complete list of horses and live odds here: 2015 Kentucky Derby Odds. Those odds will likely change significantly between now and this afternoon’s race too – any of these horses could be considered favorites by the time the horses are in the gate. The field is wide open, and for the first time in a few years, it’s actually anybody’s race. Which makes for way more trash talking and a lot more drama. The decision was also made to give the last four picks to those who have the worst opening round picks. So whoever gets picks #7, #6, #5, and #4 will have picks #15, #16, #17, and #18, respectively. For more on the Tradition, check out last year’s post. This picture was just texted in from The Judges. The draft order is set. Karlie (my wife) – Picks 1 & 14. Last year’s winner gets first pick again in 2015. Janice (my mom) – Picks 2 & 13. APC – Picks 3 & 12. Love this spot, I’ll tell you why. Greg (my dad) – Picks 4, 11 & 18. Good luck with Frammento. Anna (my sister, youngest) – Picks 5, 10 & 17. Holly (my sister, younger) – Picks 6, 9 & 16. 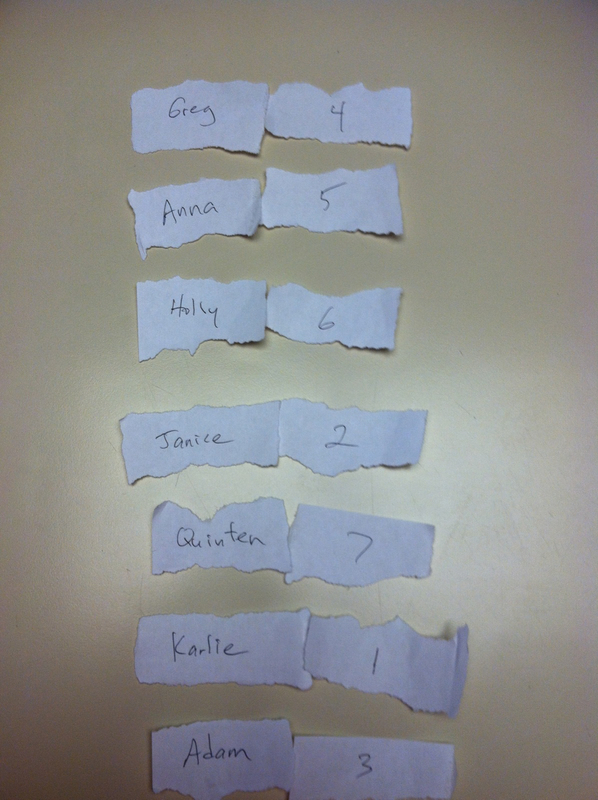 Quniten (bro-in-law, holly’s husband) – Picks 7, 8 & 15. Bummer, dude. I’m crazy about the #3 pick. The pressure of choosing incorrectly on the #1 overall pick is a real one. Karlie has all the options available and no excuse for picking wrong, plus, by the time the draft comes back around to her next pick, the potential winners are probably gone. She’ll only really have one horse in the race. All your eggs are in one basket, as they say. With pick #3 I also get #12 which means I’m guaranteed to get one of the top options in the race along with one of my favorite dark horse options: Horses like Upstart (21-1), Danzig Moon (20-1), Ocho Ocho Ocho (24-1), Bolo (36-1) or Mr. Z (30-1) all have a shot at landing at #12. I truly believe there are 12 horses that could win this year. LIVE NOW: The draft is taking place at 2:00 PM CST. Check back if you want to follow along, I’ll be posting riveting live updates. All the pre-draft talk was that Karlie was going to take Firing Line out of the gate. In a last minute change of heart, Dortmund was the pick instead – and a better one, in my opinion. Wouldn’t have been my top pick, but It’s not a bad one. Seize the day, Mom. Shocked that the favorite slid to this spot, and I’m thrilled about it. I was prepared to have to choose between Carpe Diem and Firing Line here, but Mom’s pick bailed me out. This was an unfortunate spot to pick. It was pretty clear that these four horses were going to drop first. I anticipated Carpe Diem being the last one left. I think Firing Line is the better option. This is a reach, but I really like this horse. I was actually targeting Upstart for my #12 pick. But hey, if you like a horse with the #6, you might as well pull the trigger, amiright? …nope. This is a terrible choice. As of this moment, Tencendur is currently going at 53-1. One of the worst in the race. It’s like Quinten is trying to lose. Somehow, someway, Materiality and Mubtaahij are still available here. Materiality is the pick. And there’s the other right choice, in my opinion. I would’ve taken “Mubby” at #6, yet somehow Anna gets him at #10 instead. Amazing draft for Anna to this point. Pretty awesome name, and appropriately timed in light of the Mayweather/Pacquiao fight. Was really happy Dad took Itsa here. I had two horses I was targeting for my #12 pick. Upstart and…. Here’s what I think will happen in the race this year: two horses will jump out to pace the pack: American Pharaoh from the outside and Ocho Ocho Ocho from the inside. They’re the two speed horses. I don’t think 888 will hold on, but he might! Who is left at this point? Quinten’s just being a nice guy at this point. First Tencendur and now Frammento? He must have all the faith in the world in Danzing Moon, because these two are mostly worthless. Cool name. Bad horse. But the best one left. Jimmy Fallon’s Kentucky Derby Puppy Predictor is all you need to watch when it comes to this dog. I was prepared to make a “Mr. Irrelevant” comment here, but it’s Mr. Z instead. Surprising to see a 31-1 be the last pick. Really didn’t see Quinten’s earlier pick coming, so somehow Dad gets a somewhat relevant house in the end. There you go. Assuming the favorites – and by that I mean Dortmund and American Pharaoh – do not win, I think Anna and Holly had the strongest drafts. I think Frosted, Mubtaahij, Upstart and Materiality are all potential winners if the race falls the right way out the gate. I anticipate the pace to be fast, which is why I’m very happy to have the two horses I do. But like I said at the top – this year, it’s anybody’s race. Shoot, even Danzing Moon stands a chance to win. As of this writing we are 2 hours, 4 minutes and 51 seconds away from race time. Race is at 5:44 PM CST on NBC. That’s a winner, folks! American Pharaoh for the win! It was a great race actually. Dortmund broke quick out of the gate and led Firing Line and American Pharaoh through the halfway point. Firing Line managed to overtake Dortmund there, but rounding the home stretch, American Pharaoh put on the afterburners around the outside and came away with the victory. All three horses were neck and neck for the majority of the stretch run. Firing Line retook the lead for a moment, but it turned out to be too soon. American Pharaoh was strong enough to take it back. Very fun race as all five top picks were in the mix for the majority of the race. Ultimately, Carpe Diem faded, but it truly felt like anyone’s race. Very fun year. In my years of drafting horses with my family I’m fairly certain this is my only win. Most years I never have a chance since the winning horse is gone by the time I pick. Looks like I’ll be picking last in 2016, but that’s alright. I’m going to enjoy my year on the champs podium. Next Next post: The Royals are 77-49: Too early to start thinking postseason things?